Warren Buffett ensures all four rules are met before purchasing a stock pick. Having a great leader is vital for any company, and as a shareholder you want to make sure that your next stock pick is well managed. Warren Buffett knows that the character of the leader trickles down through the organization. In your research of fulfilling the first rule, you should look for a company that has twice as much equity as debt. Think about this as owning a $15,000 car, where at least $7,500 is already paid off. Typically, managers that carry low levels of debt are conservative with the capital of the business and don’t risk your money for a desire to grow too fast. If you would like to learn more about this rule, Preston and Stig have made a video about finding quality leadership within your stock picks. Warren Buffett does not like a leader that exposes a business to a lot of risk, as he knows it jeopardized the future of the company. Having only a little debt gives the business a lot of flexibility and agility to make the right decisions for shareholders. Yes, good advice for both stock investing and most household budgets. Warren Buffett only buys stocks in companies that have long term perspectives. The reason is that these companies will continue to make him wealthier over time, but also because capital gains tax must be paid whenever he sells stocks at a profit. That is probably why Warren Buffett is quoted as say that his “favorite holding period is forever”. If this is a little confusing, Preston and Stig made a video about the impact of capital gains on short-term traders (or day traders). Now, a wise man once said that predictions are hard – especially about the future. What Warren Buffett is saying, is that while we can’t know for sure which products we will use in the future, there is a good chance that we know which products may radically change. These are the goods and service that Warren Buffett does not invest in. As an example he once said that the internet does not change the way we chew gum (when asked about his ownership in Wrigley’s gum). To properly value a stock, it must be stable and understandable. Think about the weather in the Sahara. It is hot and sunny and it is probably the same thing 30 years from now. 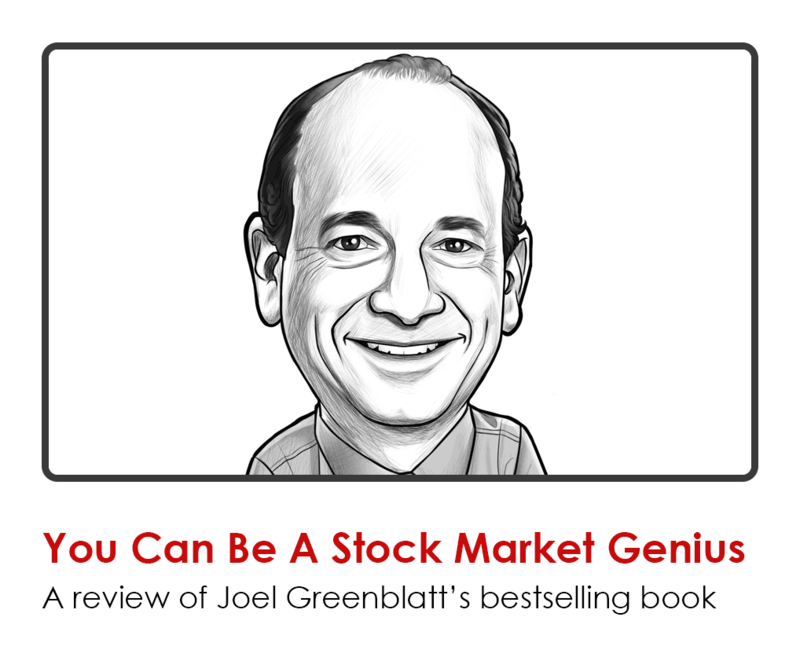 You want the same certainty for a profitable stock pick. When a company’s profits look like a yo-yo, it’s typically impossible to value. If the value you predict for a stock has very little certainty, you effectively have no idea if you’re getting a good deal or not. As a stock investor you would look for growing or consistent metrics including: earnings, debt, return on equity, and dividends. A good rule of thumb is to look at a 10-year time period for past performance to see if the company is stable. Preston and Stig built a stability calculator to help you graph these metrics and visually see a company’s stability. This rule is the first place Warren Buffett looks to determine if a company is a potential buy. By determining an intrinsic value for a company, he can quickly filter out numerous stock picks and only focus his time on a few viable candidates. If he finds out that the price is significantly below the intrinsic value, he might buy it. This is what Warren Buffett calls margin of safety. Think about it as building a bridge that can withstand the weight of a 10,000 pound truck. Would you build the bridge to withstand a weight of 10,001? Of course not! You would aim for 20,000 pounds. Warren Buffett knows that the same goes for buying stocks. Preston and Stig have built a free discount cash flow intrinsic value calculator for you, so you can determine the value of potential stock picks. There is a video on the landing-page to help you learn how to use the calculator. This book is the most comprehensive biography on Warren Buffett. Read reviews of this book. Broadcasting from Bel Air, Maryland, this is episode 2 of The Investors Podcast. The Investors Podcast makes complex things insanely simple. The hosts are Preston Pysh and Stig Brodersen. The topic today revolves around the idea of Warren Buffett’s investing principles. He has 4 rules to be precise. He makes sure that each of these 4 rules are met. He never picks just one, two or three rules. It is vital for him to meet all four rules. The first rule is the company has to have vigilant leadership. Buffet first takes a look at the leadership abilities of the company – The CEO. He also looks at the chairman of the board of directors representing the shareholders. Basically, the starting point is he looks at the leadership rules. Everything within the company starts from the top and reflects the lowest position of the company. Finding the right leader of a company and organization is vitally important to Buffett. Reversely, the fourth rule is the value rule and that’s where Buffett really starts. He looks at the value of a company before anything else. Again, the first rule, vigilant leadership, is a very qualitative rule. He won’t waste time researching when he can just quickly look at the numbers and find out whether a company is interesting or not. At first glance, many leaders look qualitative. When looking at a business, it is important to look at how much the CEO makes, his annual salary, and his decision-making. To make illustration better, Stig will look at a company to identify a leader who’s running an organization that has vigilant leadership. It is hard to quantify something that’s qualitative. It’s like comparing how to pick a spouse. Everyone wants an intelligent, humorous, and good-looking spouse, but how do you quantify that? It’s the same problem with investing. A vigilant leader does not have a lot of debt. A business with a very high debt to equity ratio has a real leverage business. It is easy to generally assume the leader who’s trying to make the business service because it’s dying or the leader is just making very risky decisions. Use the exact same principle when applying the first rule: look at how the company is managed. Is the company having stable and predictable results? Do they have low debt levels? All those are signs of a key leader. A decision-maker making wise and consistent decisions to not jeopardize the future of the business is a recommendable business place. Buffett does not want to invest in a company with a leader prone to lots of risk, because that jeopardizes the further result. A company with low debt has a flexible leader. A company with low debt has the ability to go left and right a whole lot easier. Think of a speedboat. It is represented by a company that doesn’t have a lot of debt. Think of a cruise liner. That is represented by a company with lots of debt. If that business has a competitor that comes into the water and is very difficult for them to take a different direction, that speed boat can turn on a dive and go on that direction in case they’re not highly leveraged. They are not reliant on all the dollars that they borrowed and pay back in the future. Think of the cruise liner. It’s steady and straight, but if they have to change course for a reason, it’s a major move and its takes a lot of time. Rule 2 is a company must have long-term prospects. A company that has long term prospects that are selling products can be expected to be selling 30 years from now. How do you know what will be selling 30 years from now? Buffett says the internet will not change the way people chew gum. Wrigley’s will make money 30 years from now. Most people look at it at a different perspective. They try to find the next Apple or Microsoft – the next emerging company. Actually, you need find something that’s going to be around 30 or 40 years from now, it doesn’t take an expert to realize what people will use in 30 years. Buffett takes a different approach. He gave a speech at Sun Valley during the time when the internet was high. Investing in technology is often counterproductive to the investor, because in the end there will only be one or two that will survive the competitive nature. There were 2000 car companies back in the early 1900s, and now how many are there? The USA has 3 major brands left. Buffett was trying to find the company that has long term prospects. He didn’t want to invest in a company that’s going to be a flash and a pan lasting for just a couple of years. The chewing gum is something that’s going to be around for a long time. It will produce consistent profit year after year. Why does buffet have this rule? He wants to avoid the friction of tax. Buying something and selling it one year later only leads to high tax payables in just one-year timeframe. Day traders pay extremely high tax in their gains, if they even made gains. Owning something for 30 years with the profit maturing and growing within the company lead to no tax at all. Unless the shareholder sells his stock, he will not be charged to pay taxes. Buffett’s term of ownership is forever. He never plans on selling it. If he continues to hold it for 30 years, he never pays the effective tax on that growth for this initial purchase price. Statistics out there show that if a person would sell their stock every single year and pay that high tax, the person who would buy one time and pick grows and never sell it until 30 years of terms, Comparing 30 years now, both picks are growing 10% annually. However, the difference in the end is enormous. The other one might make 150,000 and the other one doubles that, because he held the pick and didn’t have to pay tax every year. There are 2 things here. Selling stocks fast is another tax bracket, but even if the tax bracket was the same no matter how long the stocks are held, it sounds the same, but it’s never not same at all. That pretty much rounded up the second rule. The third rule is the stock should be stable and understandable. Ben Graham’s books, The Intelligent Investor and Security Analysis, stability is one of the most important things that you can find at any stock pick. Without it, the trend line is undeterminable. This rule ties to the fourth one –intrinsic value calculation. Without finding the business with stable results, earnings and level of debt – the crucial factors in properly defining and determining a company’s worth – figuring out and coming up with a high level of confidence for an attainable and probable future is impossible. Earnings or profits are extremely important. No one wants a company that has high earnings this year and very low next year. A company with stable, consistent and growing earnings overtime should have a nice clean chart graphed. The other thing to look at is the dividend the shareholder receives. Plotting it on a graph for the past 10 years should show something constant and trending in the right direction. Nobody wants it trending down. Final thing would be the book value or the return on equity of the business. In short, without that stability factor, moving to the last rule is non-sense. The fourth rule is calculating the value of the business. There won’t be a base line analysis in order to project. Buffett starts with this because he can quickly figure out companies that he doesn’t think is going to be worthy of purchase. This is buy a business at a very attractive price. It’s a trickier rule to do because they’re actually calculating a discount cash flow calculation in order to determine the area of something today. The truth is a dollar tomorrow is not the same as a dollar today. Buffett calculates all the future cash flows of the business. The share of the company might earn 10 dollars a share. Next year, it’s 11 a share. The year after that, 12, and so on. It increases every year. He has a calculation formula found at the Buffett’s Books website. It’s 100% free. Assess and use a trend line in trying to figure out the future cash flows of the business. After finding out, Buffett discounts those future cash flows that are not the same value as today’s dollars. He’s going to discount those cash flows back to today so he knows the value of those future dollars today. Putting the price on the company is easy to know whether it’s worth buying or not. Just use the simple discount cash flow calculator. It sounds like a difficult concept, but practicing it is fast and it makes sense. Here is a question to make the margin of safety easier to understand: if you would build a bridge and know that 10000 pounds of truck will pass by that bridge every day, how strong would you build that bridge? It is hard to know the exact value of the intrinsic value. It’s impossible. That’s why there’s the margin of safety. There’s the company’s worth, the intrinsic value, and enough variance from what it is trading for in the stock market. The margin of safety gives all these! If a company is worth $100 at 10% discount rate, the investor gets a 10% return for buying it at $100. If it’s trading for $50, that’s a large difference of what it’s worth and what the market is currently trading it for. Having a large difference is having a golden opportunity as an investor. Buy that stock! If the stock is trading at $90 with 3% rate, it’s harder to get the margin of safety because it’s so close. In the end, it’s the investor’s decision whether to get the risk because he has enough margin of safety on the pick. To cover everything in the podcast and in depth casualization is not capable through an audio, so it is recommended that you go to the Buffett Books website. Watch the videos and use the calculators. To review, Buffett has four rules in stock investing, all fours rules are required to be met. Not one, not two, not three, but all four. All these 4 rules contribute into finding the right company to invest in. Warren Buffett followed all these. Appreciation to my father who told me regarding this blog, this blog is truly remarkable. Thanks for adding the new scroller at the bottom of the page! I’ve been following you guys for a few monthes now and finally decided to catch up on some of the earlier videos. As a student, no matter how deep into CFA material I go I find going back to the basics keep me grounded. Thanks Chris! I’m sure you will do well on your CFA. -It is an awesome start you are giving yourself.